As a teenager, I was heavily into Warhammer 40K. I've experienced something of a renaissance in recent years. Rarely, if ever has it had much to do with the actual game, though. I get that kind of release elsewhere. Usually from video games. What I can't get from video games, though, is the sensation of holding a miniature in your hand, and the satisfaction you get from painting it however the hell you want to. 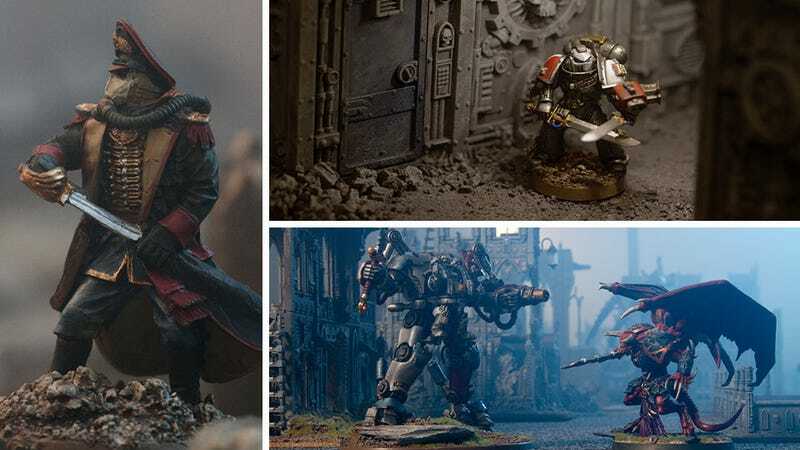 In honour of the little guys, then, is this gallery, showing some of the best examples of Warhammer miniature painting and customisation on the planet. These images were all taken by games designer Jon Law, who in addition to some awesome painting goes the extra mile by arranging many of his miniatures and shoots in "atmospheric" settings, using smoke and lighting to replicate the conditions of a battlefield. You can see literally thousands more photos like this at Jon's Flickr page, and check out a great interview with him over at Tabletop Geeks.